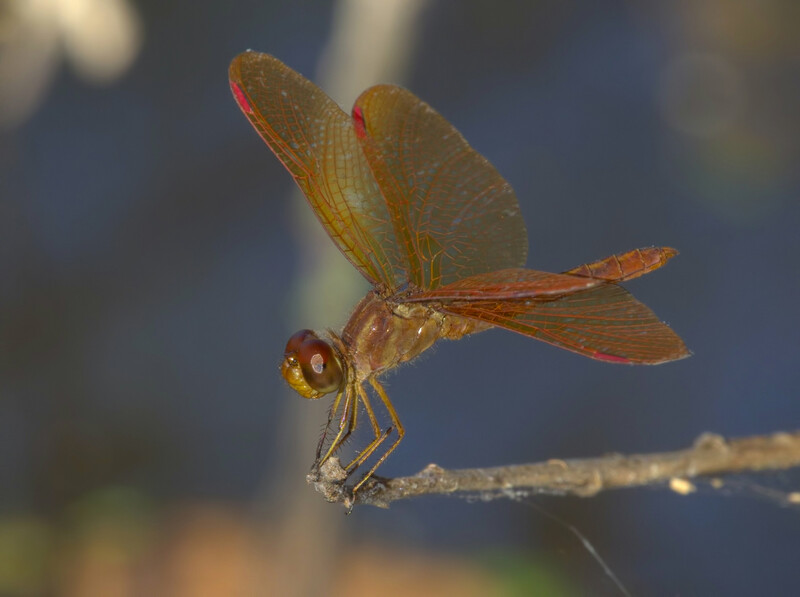 Until now the Slough Amberwing in Arizona had not been recorded later than 27 October (R. Bailowitz, pers. communication). On 18 November 2017, 2 males, one of which is shown below, were found along the stream at Sonoita Creek Natural State Area in Santa Cruz Co. This observation further extends the known flight period of this species in the state.